VirtualCenter client 1.3 needs .NET v1.1! Yes, I know this is crazy but… I don’t know if anyone else would care. Windows 10 (7 & 8 as well, I guess…) include a .NET 2.0 option or a 3.5 which includes 2.0 install but if you need the first real ‘release’ version of .NET v1.1 you cannot install it. And some applications were pretty much hard coded to 1.1, even though the whole point of .NET was to avoid this kind of version/DLL hell. .NET 1.1 setup From here it’s all failure. Well I had come across this great post here on techjourney.net. And yes it sounds crazy but it works! All you need to do is download the version 1.1 framework + SP 1, and slipstream the SP 1 patch into the directory and run the setup..
I’ve gone ahead and combined the .NET v1.1 framework + SP1 into this zip file: dotnet1.1-withsp1.zip, so you can bypass those steps, and just go.  No more bizare errors about the debugger not finding itself and crashing out the installer. And now I can manage my nested VMware ESX 2.5.2 cluster on Windows 10 natively as managing from a VM just wasn’t the great experience I’d been hoping for. and here I thought DLL Hell was supposed to be solved with .NET. I have an application I wrote for a school project back in late 2004 in VS.NET 2003 and targeted .NET 1.1 and used the mySQL ADO.NET plug-in and whatever was the current revision of mySQL. I haven’t tried to run it on anything newer then Windows XP! Wonder if I should dust it off and see if it runs on Windows 10 x64? It should technically work with .NET 2.0, but who knows. 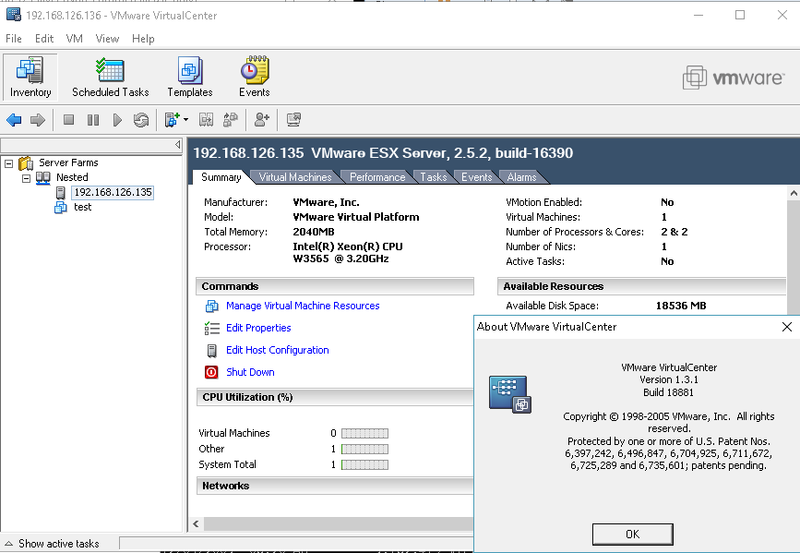 I had to do this to get the VMware vcenter version 1.1 running as I wanted to build an ESX 2.5 cluster to go over the capabilities. It most certainly wouldn’t run until I had 1.1 installed. Afterwards I did install VS 2003, which seems to run fine, although I tend to enjoy things like Lists and other 2.0 features just not found in the older version. 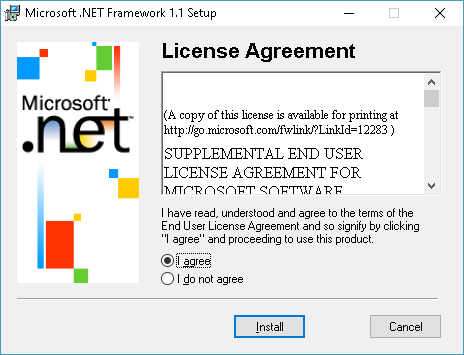 I’ve also found that many times for some reason that .net 1.1 will fail to install on NT 4.0 . The ‘fix’ was to simply copy an installed version into the windows directory, and run the setup. For some reason, on NT 4.0 it will complete when the files are already there. I used a 2003 server’s copy of .NET 1.1 to copy onto NT 4, and that ran okay. I’d say it’s certainly worth a shot!